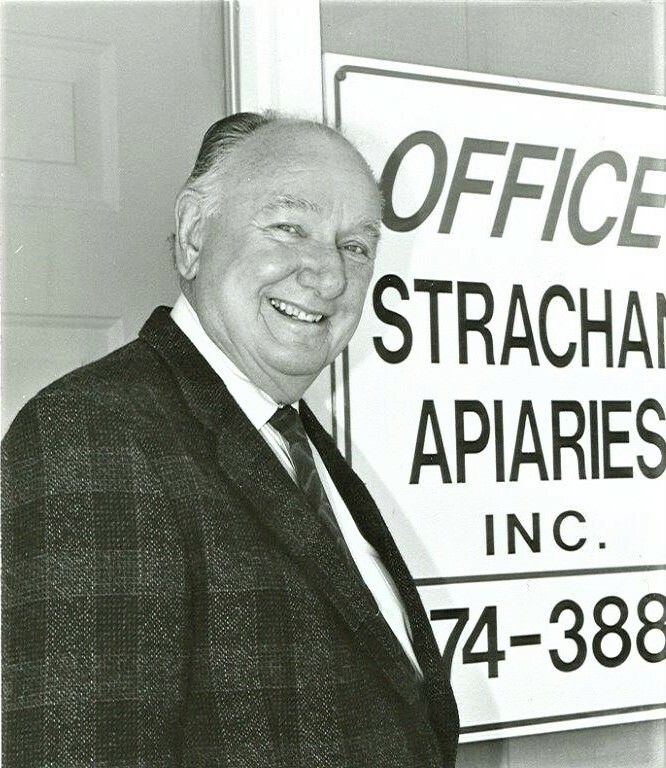 In 1954 Don Strachan founded Strachan Apiaries Inc. While in high school Don started what was to become one of America’s largest and most successful Beekeeping and Queen breeding operations. 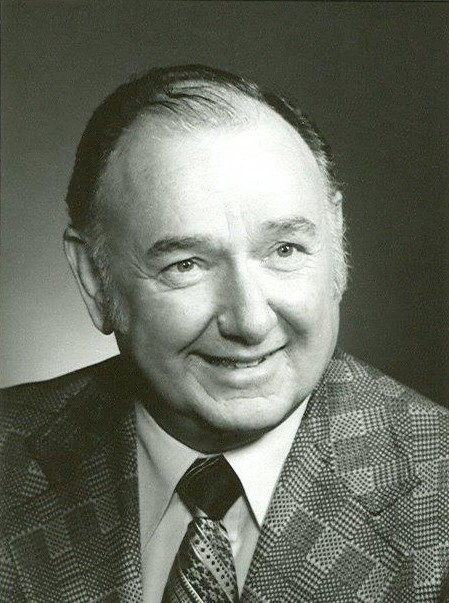 In his youth, Don worked bees for his cousin, George Smith, and also kept livestock through Future Farmers of America. After duty in the Navy during WW II he resumed working for George and in 1948 married Alice Echols of Sutter with whom, before her death in May 2002, he celebrated more than 53 years of marriage. In 1953 Don purchased 600 hives from a retiring beekeeper in Chico, California. In the early days he worked three jobs and long hours to support the family and pay his long time friend and foreman, Don Strother. In 1954 Don Strachan bought “Caucasian Unlimited”, a queen raising business, from Tom Davis. In 1961 Strachan Apiaries moved to their present location in the beautiful Sacramento Valley of California. Don invested in a 5.5 acre almond orchard with a small house in which he and Alice raised their three daughters. Debbie Strachan formerly worked as office manager and is now retired; Valeri Severson is President of Strachan Apiaries, Inc., and Donna Haile works with her husband in his Ag Chemical supply company in Dixon, California. As the bee business expanded so did the office space, warehouses, and fleet of trucks and forklifts. A huge change came in the 1967-68 season when the business converted to pallets, forklifts and Bobcats. Prior to that time hives were hand carried or boom loaded. In 1980, Don began a new venture with Everett Hastings of Canada and started breeding the Carniolan line of queens and bees. This breed of bees continues to be the backbone of Strachan Apiaries, Inc. As the years passed the queen breeding stock changed to the New World Closed Breeding Program in cooperation with Susan Cobey of Ohio State University. “Time Tested, Industry Proven,” is the motto of Strachan Apiaries, Inc. when it comes to queen and package bee production. The centennial year of the California State Beekeepers Association was 1989. Don enjoyed the Presidency of the CSBA during this special year. In 1992 Don became an Honorary Life Time Member of the association. He was also a member of the American Beekeepers Federation and the American Honey Producers Association. Strachan Apiaries, Inc. faced new challenges in the 1990’s. Exportation of bees to Canada ended in 1987 but that changed in June of 2004 and we were the first to ship queens again across the border. Lower honey prices and weather related tragedies continued to cause concern. A flood in 1997 reduced Strachan Apiaries by 1300 colonies. However, these things did not dampen the company enthusiasm about Beekeeping in the new century. Don Strachan (Dad) always placed his faith in God and lived a lifetime of hard work. On August 29, 2003 Don passed away due to complications following surgery. He was 78 years young and considered a giant in the beekeeping industry. All who knew him miss him. His good ethics, honesty, hard work, and desire to do the job right continue to be the standard at Strachan Apiaries. UC Davis Visits Strachan Apiaries, Inc.